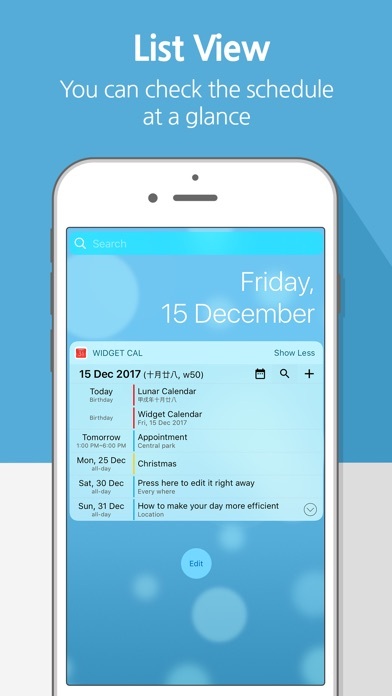 Try this simple and clean widget calendar to save your time and spend your day more efficiently. 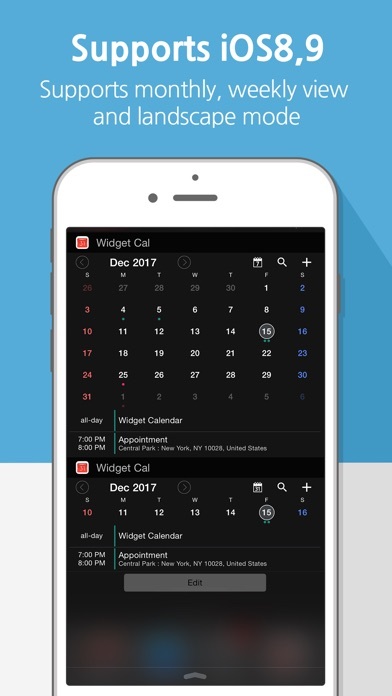 You can check and manage your calendar and schedule on your lock screen. 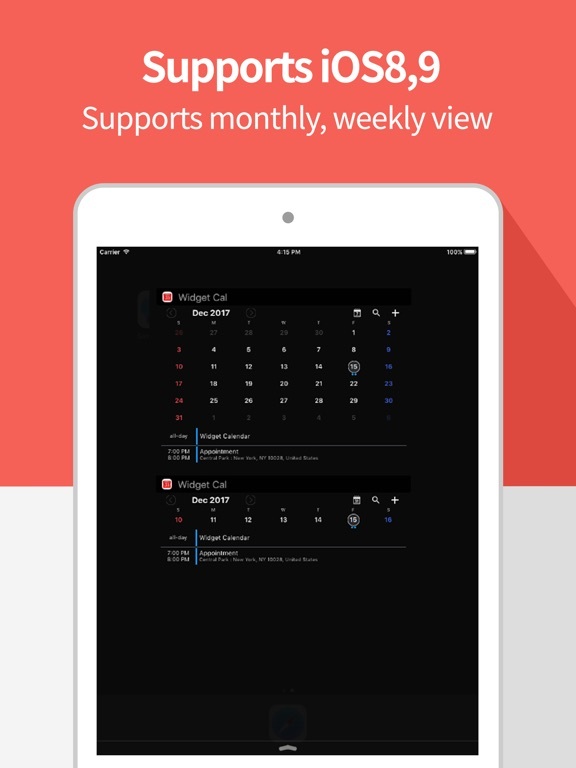 ◦ Calendar: Simple and clean view of monthly calendar in your Notification Center. 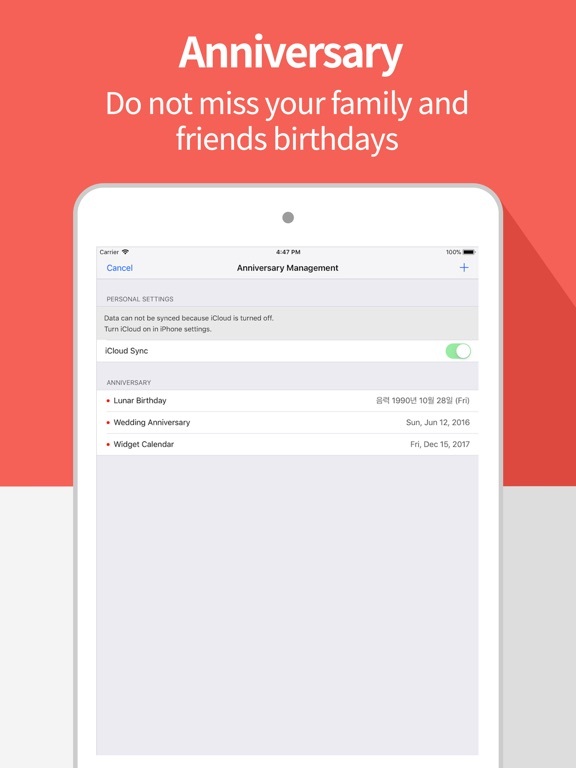 You can check your calendar quickly and easily, even when your phone is locked. 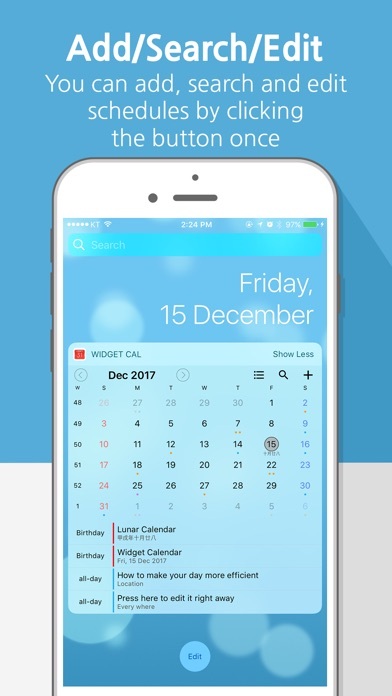 ◦ Events: Events saved in all calendars saved on to iCloud through iPhone Calendar, Google Calendar and Exchange are shown in your Notification Center. 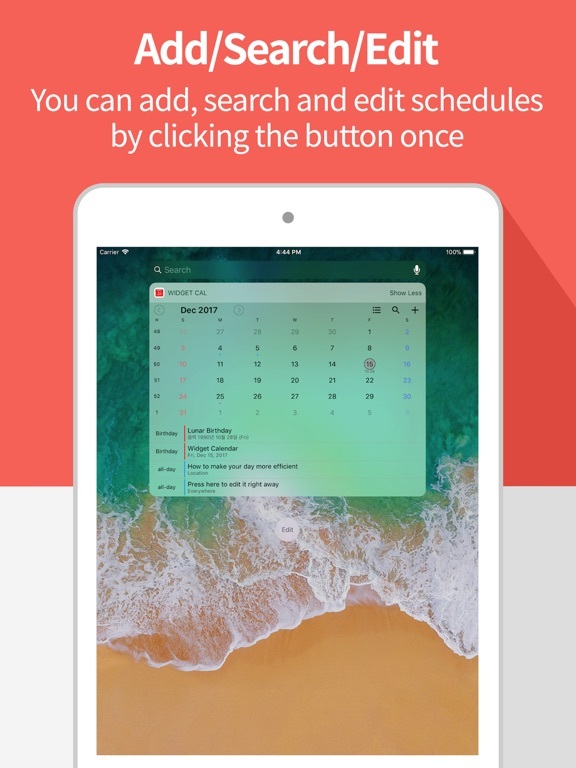 ◦ Add Events: You can add events to your calendar in your Notification Center with a single button. 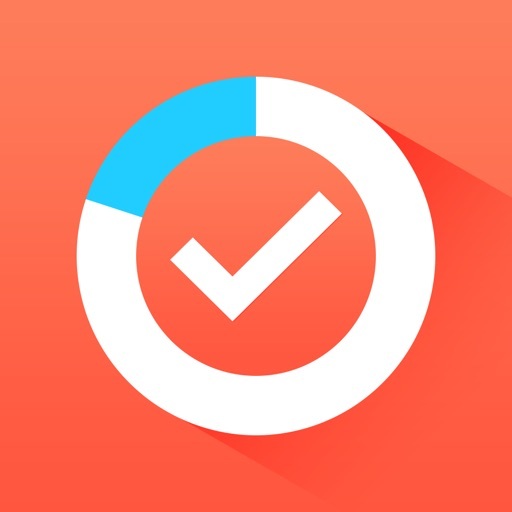 ◦ Mange Events: You can edit events in your Notification Center with a single button. 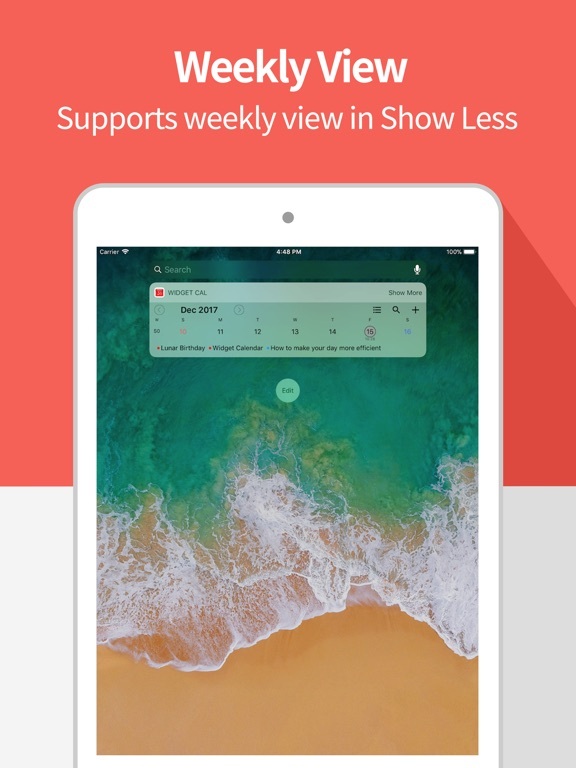 ◦ Landscape mode: We support landscape mode. 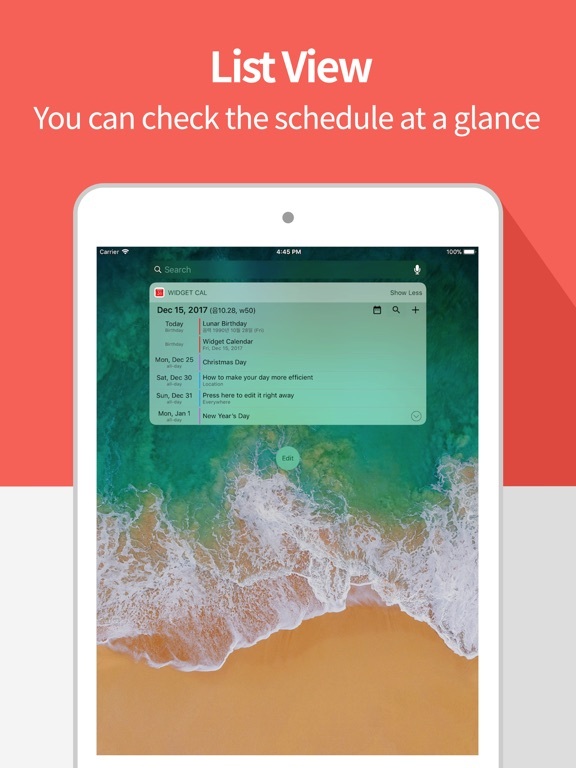 Check your calendar in your Notification Center while watching movies or playing games! ◦ 3D Touch: We support 3D touch. Press on the app icon. ◦ Peek and Pop : We support Peek and Pop function. Try press on the app screen. ◦ This application has been implemented using Swift. 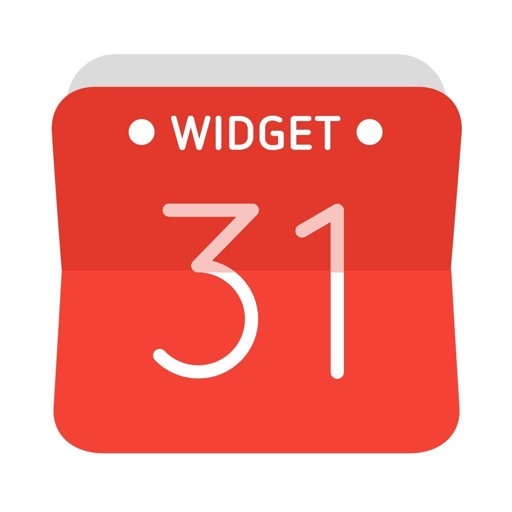 Widget Calendar loved and praised by so many! Get it now! Please contact us at [email protected] if you have any questions or issues while using the app. ◦ This application supports English, Chinese, Japanese and Korean. - The past event don't appear in the widget list view. 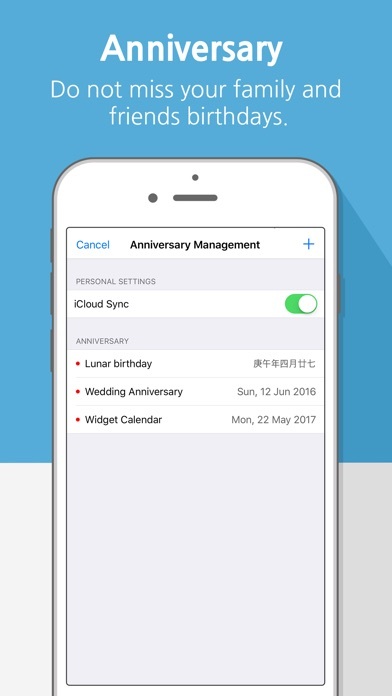 - Anniversary sync right through the iCloud sync. We are trying to reflect it as soon as possible. We appreciate to many people helping us. 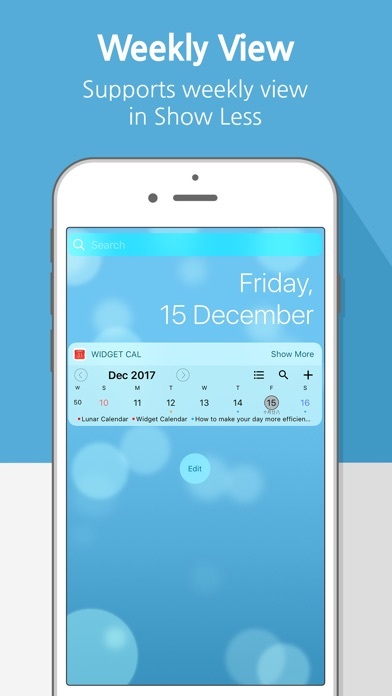 "Widget Calendar" is getting better with the help of many people.